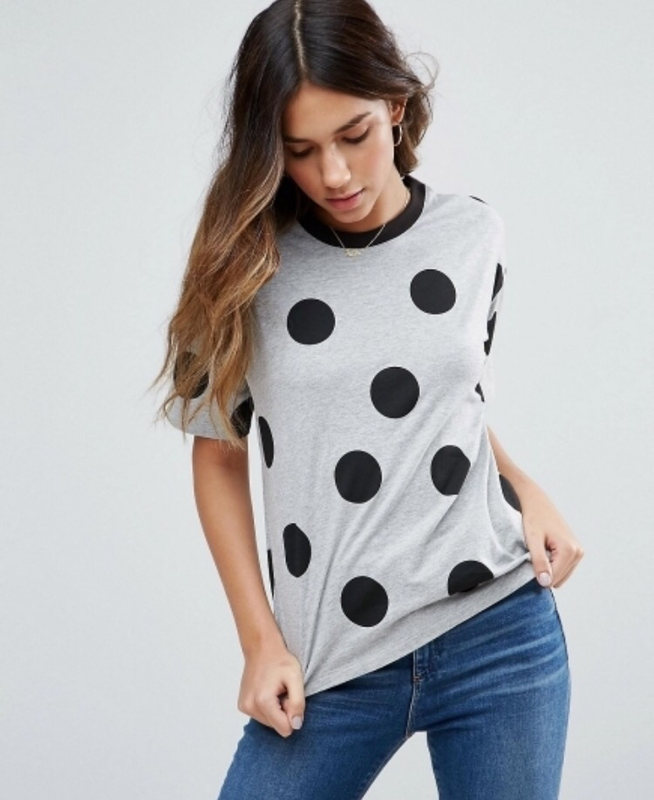 Polka dots are having SUCH a moment RN and I have fallen head over heels! Here’s a little style guide on how you can add a little polka dot to your wardrobe this autumn, without looking like Pongo and Purdy from the childhood classic 101 Dalmations! Firstly, the polka dot blouse. Team with your favourite pair of jeans or a leather skirt and ankle boots to look killer this autumn! 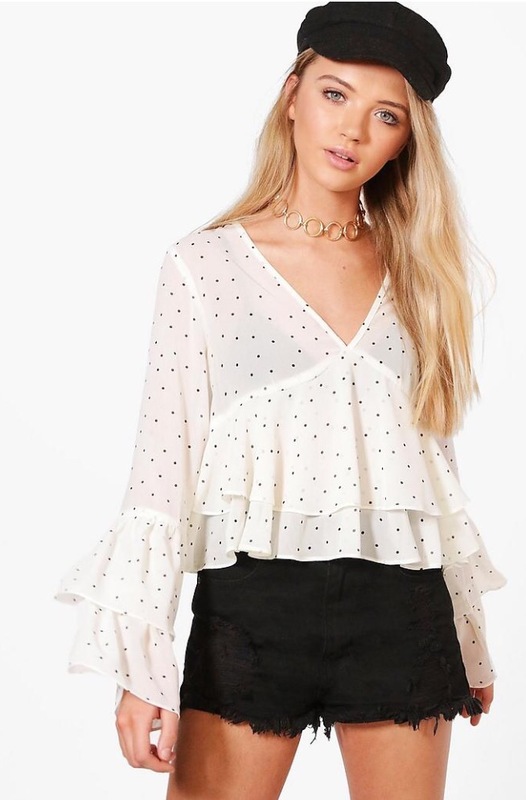 This beaut is only £18 from boohoo and I LOVEEEE it. The ruffle sleeves and plunge neckline are giving me all the feels. Click here to shop (also available in black)! Everyone needs one of these in their lives this season. 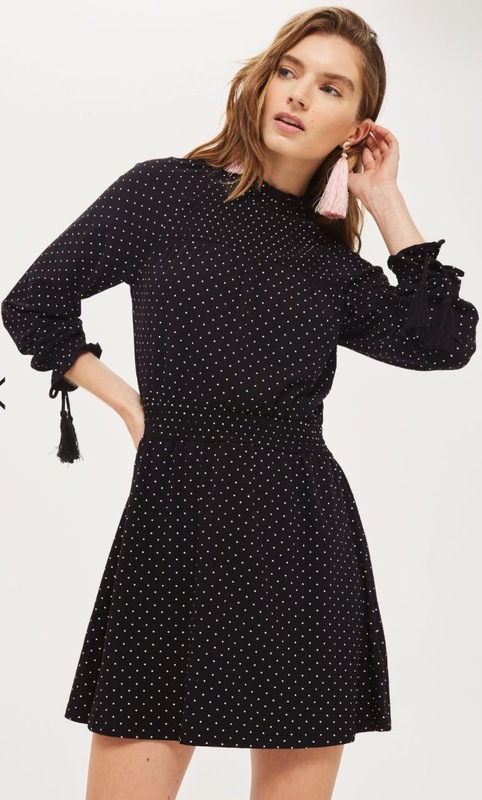 Whether you dress it down for day with tights and flats or up at night with bare legs and sock boots – a polka dot dress is a MUST. This one from Topshop fits the bill perfectly. With a high neck and long sleeves, it’s sure to keep you a bit warmer this season. It’s such a flattering shape too, as it’s sinched in at the waist and aren’t those sleeve just to die for?! It’s £36 and you can shop it right here. This is such a simple staple for this season. Size up for a baggier style tee, tuck the front into a pair of high-waisted jeans (leaving the back flowing loose) and chuck on a black chunky belt for the ultimate casual look. Not forgetting to team this with your favourite pair of trainers! I adore this ASOS tee and for £12, you can’t really go wrong. I love that the spots are bigger than your typical spot-print and that the neckline is a different colour to the main tee. Grab it here. Feeling brave? Go bold and wear full on polka in the form of a gorgeous jumpsuit! This one is just perfection! I’m a complete sucker for a plunge neckline so of course this Boohoo one caught my eye! 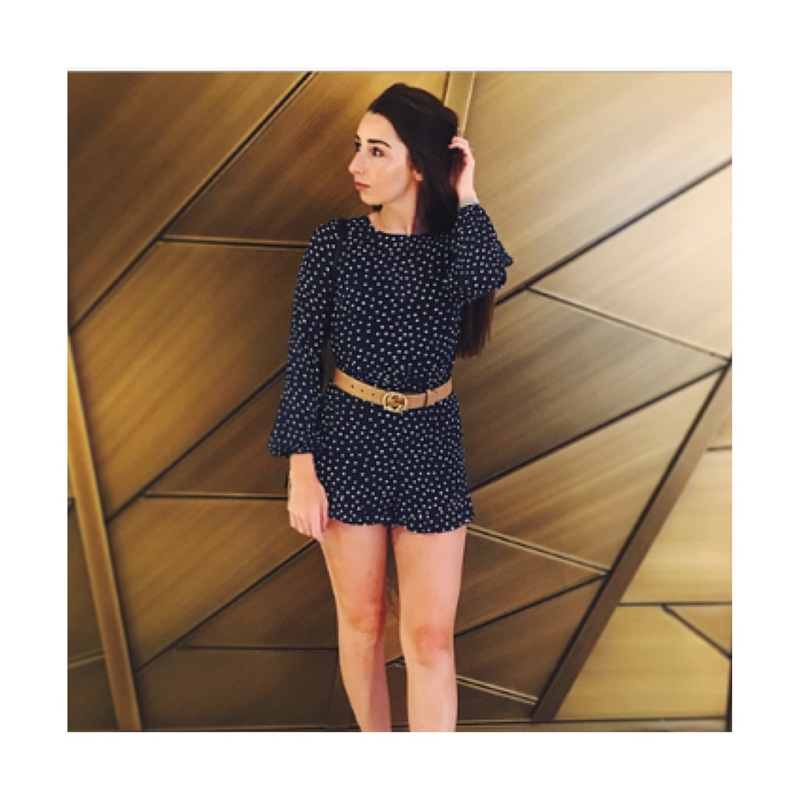 It’s in a gorgeous navy blue with little white dots (also available in black) and is the perfect shape to give you more of an hour glass look, with the tie around waist. Team with your favourite heels and a metallic clutch and you’re guaranteed to feel and look amazing! Shop it here, for a mere £18! Don’t forget that you can also introduce polka dots to your AW17 wardrobe using accessories and hosiery, too. So what are you thinking on the polka dot trend? Do you love it as much as I do? Ooooh that jumpsuit is so nice!